Fly from San Francisco, USA, to Hong Kong for as little as USD1,041 with Singapore Airlines. This is a promotional round-trip economy class fare inclusive of all taxes and airline surcharges. Departures are available from other US cities for slightly higher fares. This promotion is available for travel on select dates from July 16 – December 9, 2012. The quoted price is the lowest round-trip economy fare available during the promotional period. It includes all taxes and airline surcharges. There will be a USD50 surcharge for outbound travel on a Friday, Saturday, or Sunday. Promotional fares are non-refundable and limited changes may be made for USD20 plus any fare difference. Promotional fares are not eligible for KrisFlyer reward points and cannot be upgraded with points. 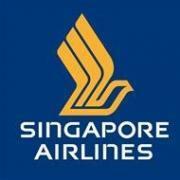 Visit http://www.singaporeair.com/ for more information or to make an online booking.